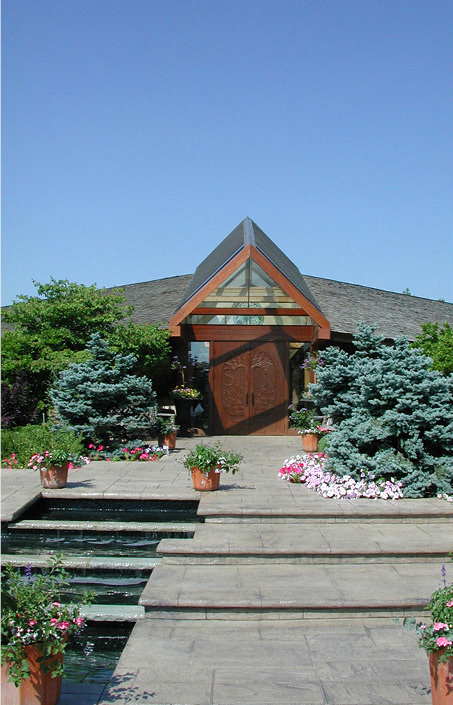 Sheridan Nurseries - Strasman Architects Inc. 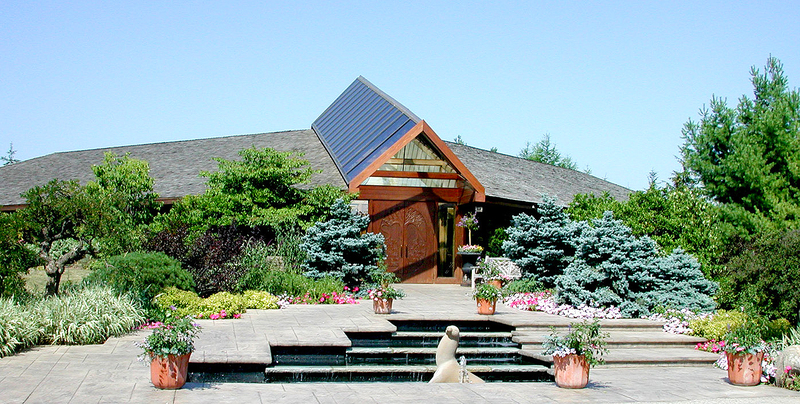 The office building for Sheridan Nurseries is two storeys and situated on top of a sloped bank within the Halton Hills. The offices, located on the upper floor, take advantage of the surrounding landscape views. 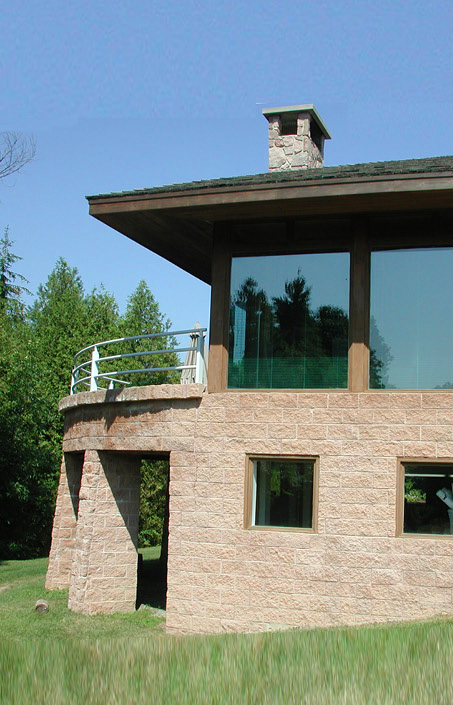 They also provide enjoyment of and access to the outdoors via balconies and patios. The lower level accommodates employee facilities and future office expansion. In an effort to reduce the visual scale of the development, as well as to better integrate it with its natural surroundings, the design included the berming of earth against the building’s two front wings. A central skylight defines the main entrance and provides natural light into the reception area.